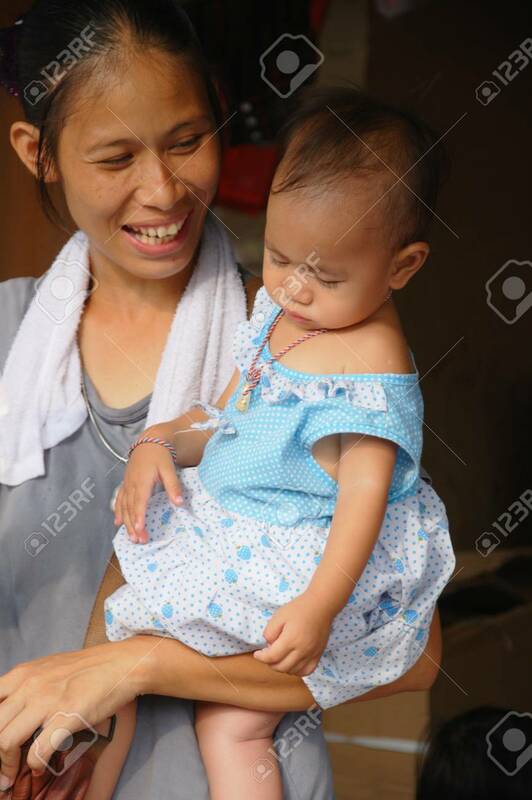 Unknown Mother With Child At Chatuchak Market In Bangkok, Thailand... Stock Photo, Picture And Royalty Free Image. Image 10007365. Stock Photo - Unknown mother with child at Chatuchak market in Bangkok, Thailand. The mother has a towel as it was a very hot and humid day. Unknown mother with child at Chatuchak market in Bangkok, Thailand. The mother has a towel as it was a very hot and humid day.